Now that DX has been around for a minute and it's almost 2 years since this question was posed from a CLI perspective, I thought it would be worth asking. 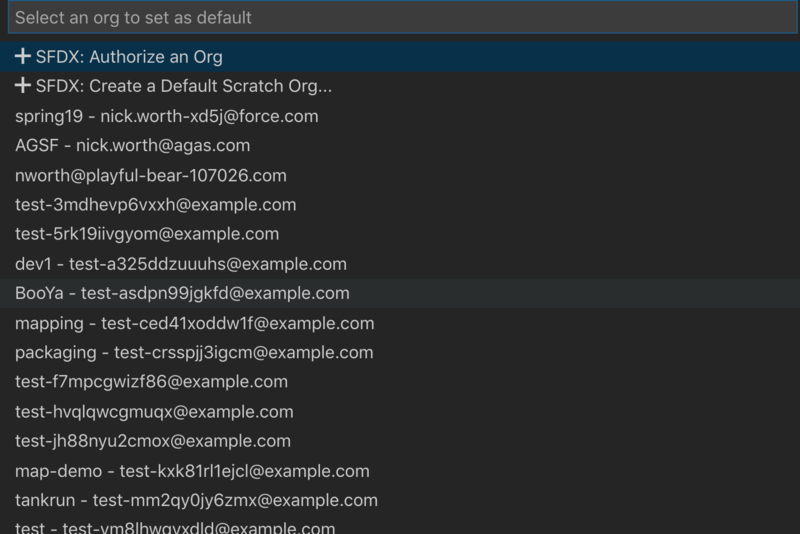 Is there yet a convenient way to remove expired scratch orgs from my list within VS Code? Currently when I click on the current default org (above), I get the following list (below). These are all outdated, I wish they would auto remove themselves, but since they apparently don't, what is the best way to manage them? This will clear up all expired scratch orgs. Not the answer you're looking for? Browse other questions tagged salesforcedx scratch-org or ask your own question.